If your car stops working properly or has presented signs of trouble, make sure you have it checked out by a mechanic right away. The longer you put off having your car serviced, the more difficult and expensive it may be to fix it. At RAD Auto Repair, we can offer you a variety of Mesa auto repair and maintenance services that are intended to take care of all your needs. It is our goal to not only meet your expectations, but also to exceed them. Your satisfaction and safety are our top priorities! AC & heating repair: The heating and AC in your vehicle help to keep you comfortable on the road. When your vehicle’s heating / cooling system breaks down, you can call on us for repairs. Steering & suspension: If you suspect that there is a problem with the suspension or steering of your vehicle, we can have your car inspected and serviced. Brakes: Working brakes are vital to your safety and the safety of other people on the road around you. We can provide you with rapid brake repairs and replacements, as well as regular brake service. 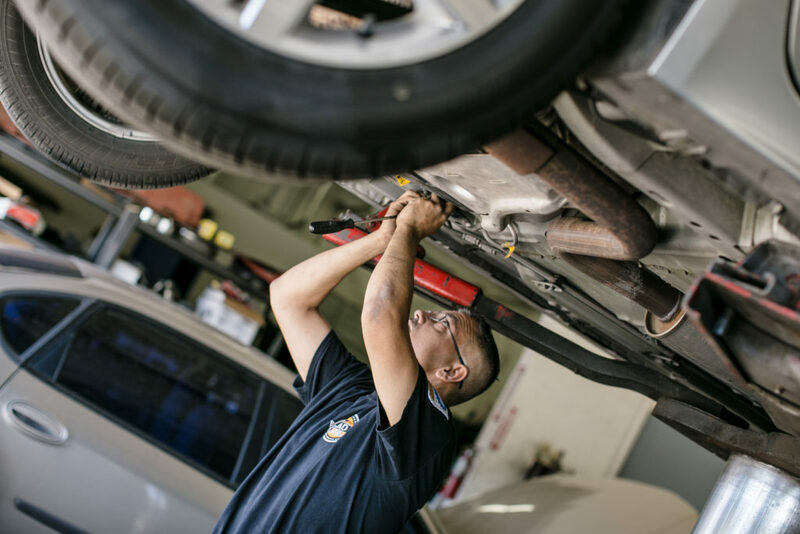 Maintenance: In order to keep your vehicle in working condition and to prevent the need for costly repairs in the future, it is important that you bring your car in for regular preventive maintenance. Wheel alignments: Do you need to have the alignment of your wheels and tires checked? If so, we would be happy to assist you with these services. Diagnostic: One of the most difficult tasks can be trying to figure out what is wrong with your car and what types of repairs are needed. We can provide your vehicle with a diagnostic inspection and offer our recommendations. Please visit our auto shop or call us at (480) 633-5505 to make an appointment for Mesa auto repair services! We are happy to give you a free quote on-line. Please provide us with the year, make and model of your vehicle along with the service you need the quote for.